Liliane Wong received her BA in Mathematics from Vassar College and her MArch from the Harvard University Graduate School of Design. She is Professor and Chair of the Department of Interior Architecture at the Rhode Island School of Design that focuses on architectural interventions to existing structures. Her interest and teaching in this subject led her to co-found the Int|AR Journal on Design Interventions & Adaptive Reuse that promotes creative and academic explorations of sustainable environments through exemplary works of reuse. A long-time volunteer at soup kitchens, her teaching emphasizes the importance of public engagement in architecture and design. Other teaching and research areas include design as social activism, the mathematics of curved space, the low income, modular home and technical textiles. She was recognized by Design Intelligence for 2018-2019 as one of the top 25 most admired educators in the US in the fields of architecture, interiors and landscape architecture. She is the author of Adaptive Reuse_Extending the Lives of Buildings, co-author of Libraries – A Design Manual and contributing author of Designing Interior Architecture and Flexible Composite Materials in Architecture, Construction and Interiors. A registered architect in Massachusetts, USA, she has practiced through her own firm, Mahon Wong Associates, as well as with the Boston firms of Perry Dean Rogers and FHCM. Key projects include the American Embassy in Jordan, Montclair Public Library, Hartford Public Library, and the design of the Kore Library Furnishings Line. Associate Professor and Graduate Program Director, Berger is a registered architect (SBA) in the Netherlands and principal of the Providence based art|design studio, InsideOut Design. Prior to coming to the US, Berger worked as an architect, designer and artist in Austria, India, and New York. He taught in Karachi, Pakistan, where he also collaborated and exhibited as an artist. Registered as an architect (SBA) in the Netherlands, Berger worked as a project architect and designer for UNSTUDIO in Amsterdam. Berger co-founded and co-edits Int|AR, the Journal on Interventions and Adaptive Reuse that encompasses issues of preservation, conservation, alteration and interventions. His work, research, writing and teaching constitute a critique on modern architecture and focus on forms of change such as art and design modifications and interventions in the built environment. Berger received his Architecture degree (Diplomingenieur für Architektur) from the Technische Universität Wien and the Universität Innsbruck. Berger teaches mandatory and advanced design studios in the graduate program and Principles of Adaptive Reuse. Stefano Corbo is an Italian architect, researcher and educator. He holds a PhD and a MArch II in Advanced Architectural Design from UPM-ETSAM Madrid (Escuela Técnica Superior de Arquitectura). He has taught at several academic Institutions: Nanjing University; LAU Beirut (Lebanese American University); The Faculty of Architecture in Alghero, Italy; and ETSAM Madrid. He has also been a guest lecturer at SAC Städelschule Frankfurt, Deakin University in Melbourne, College of Design Minnesota, ESALA Edinburgh, The University of Miami and The University of Wisconsin. Corbo has contributed to several international journals (OASE, Domus, Mark, CLOG, Il Giornale dell’Architettura) and has published two books: From Formalism to Weak Form: The Architecture and Philosophy of Peter Eisenman (Ashgate/Routledge, 2016) and Interior Landscapes: A Visual Atlas (Images, 2016), a journey through the interior-exterior dichotomy in modern and contemporary architecture. In 2012, after working at Mecanoo Architecten, Corbo founded his own office, SCSTUDIO (www.scstudio.eu), a multidisciplinary network practicing public architecture and design and preoccupied with intellectual, economic and cultural contexts. Corbo teaches graduate level advanced design studios, Design Thesis, History of Interior Architecture, and Investigating Interiority. 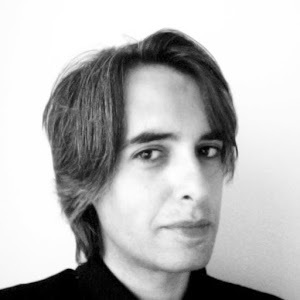 Assistant Professor and Graduate Program Director in 2015-16 and 2014, Benamor Duarte holds a Masters of Science in Advanced Architectural Design from GSAPP Columbia University and is a Doctor of Philosophy from the Instituto Superior Técnico / Universidade de Lisboa. He is a member of OA Portuguese Architects Association / Ordem dos Arquitectos since 1999. Before opening his studio practice Benamor Duarte Architecture in 2009, he was an Associate Senior Designer for Skidmore Owings & Merrill LLP in NY. His areas of research, practice and teaching explore design process models combining cultural heritage & innovation, often associating traditional and new manufacturing technologies in the making of user-based responsive environments. His design of public spaces, objects for the domestic environment, museums & historic preservation have been shown at the Cite de l’Architecture et du Patrimoine, Memphis Museum of Art, Salone Satellite and Made Expo in Milan; Wanted Design NY, UNESCO RENISLA Forum, NY; Bienniale Design in Saint Etienne and Experimenta in Lisbon. His work has won awards from several institutions in Europe and the US. Associate Professor, Interior Architecture, Rudorf received his Master of Science in Architecture studies from the Massachusetts Institute of Technology and his Technische Diplom Ingenieur der Architektur und Stadtplanung (Architecture and Urban Planning) from Universität Berlin Charlottenburg, School of Architecture and Urban Planning. He is a registered architect and has practiced in both the U.S. and in Germany, including the offices of IBUS, Berlin, TAC (The Architect’s Collaborative), Cambridge, and Ann Beha Architects, Boston. His many built projects include public housing, museums and libraries. He was the project architect at Ann Beha Architects overseeing the construction of the award-winning conversion of the Charles Street Jail in Boston to the Liberty Hotel. Rudorf is the co-author with Nolan Lushington and Liliane Wong of Libraries – A Design Manual published in 2016 by Birkhäuser Verlag. Rudorf received departmental recognition in 2013 and 2015 for his excellence in teaching. Peter Yeadon, Professor and founder of Yeadon Space Agency, is known for his pioneering research into new applications for advanced materials in architecture and design. He has received numerous awards for his work, including a Top Five Finalists spot at the 2010 World Technology Awards in Design. He has lectured at universities and conferences, and his work has been published extensively. In addition to his teaching responsibilities at RISD, Yeadon served on the college’s Academic Affairs Committee of the Board, Research Advisory Council, and is leading RISD’s HEALTH+ faculty research cluster. Prior to RISD, he taught at Cornell University and the University of Toronto. He is a member of the American Institute of Architects and the American Association for the Advancement of Science. Yeadon teaches advanced design studio and Structures and Materials and Building Systems Integration in the graduate program. Mary-Ann Agresti, AIA, is the founder of the Design Initiative, an interior design and architecture firm with an international body of work. Grant recipient for work from community building to elementary design education, Agresti earned her MArch from the University of Pennsylvania and her BFA from Syracuse University. Agresti teaches Materials in the undergraduate program. Ernesto Aparicio is Creative Director for the New York firm DFA. He earned his BA at the Escuela de Bellas Artes, La Plata, Buenos Aires and completed his Post Graduate Studies at the Ecole des Art Decoratifs, Paris. He served as Art Director for Editions du Seuil in Paris, while maintaining his own graphic design practice, Aparicio Design Inc. Aparicio, a faculty member of the Graphic Design Department, is also the Graphic Design Editor of the Int|AR Journal and teaches Typography in Space. Matthew Azevedo is a musician, acoustician, mastering engineer and educator living in Providence. Faith Baum’s academic and practice interests coalesce. She holds a strong belief that everyone deserves good design achieved through collaboration and research. Her present academic interests focus on human factors and design with material color for three dimensional space. She investigates human perception and the creation of physical comfort in the built environment. Baum received her Bachelor of Art and Master of Architecture degrees from the University of Pennsylvania. An active member of the BSA, AIA and IIDA, she is a registered architect in Massachusetts, Rhode Island and Pennsylvania, and a member of NCIDQ. Faith has created curriculum and degree programs for the Boston Architectural College, served as guest critic at numerous universities, and presents and writes for industry conferences and journals. Jonathan Bell, AIA and LEED is the co-founder of DUAL, an architectural practice with expertise in adaptive reuse, interior architecture, and residential design. Bell’s academic interests include intersections between film and architecture with published articles on film noir. Bell teaches the undergraduate Drawing for Interior Architecture and Thesis in the graduate program. Kylie Bodiya NCIDQ received her BA in Interior Design from Michigan State University. A retail designer, Bodiya is a recipient of the annual “Designer Dozen” awards from VM+SD Magazine, and noted as one of the top twelve “up-and-coming” retail designers under 35. Bodiya created a stand-alone template for the retail roll-out process at Swarovski. Bodiya teaches Fundamentals of Revit. Elizabeth Debs AIA has been involved in architecture, planning, community development and housing for over twenty-five years. She serves on the Board of the Providence Public Library, co-chairs the Sankofa food and culture initiative in Providence and is a member of the Advisory Group for the AIA Housing and Community Development Knowledge Community. She received a BA in Philosophy from Vassar College and a MArch from Harvard University. Debs teaches design studio in the undergraduate program. Michael Grugl heads Sixtus Partners, an architecture firm in Linz, Austria. He is a former member of Architekturwerkstatt Freistadt, a group emphasizing adaptive reuse of historical buildings. He is co- creator of the award winning Pixel Hotel, a built and operational urban intervention for Linz09. In 2012 he co-developed the Monolith, a prototype solar powered thermodynamic system for domestic heating and hot water provision. He received a MArch from Technical University Vienna. Grugl teaches advanced design studio. Heinrich Hermann, PhD is principal of Hermann Design Studio. He earned MArch degrees from the University of Applied Arts in Vienna and Cornell University. His extensive teaching includes Virginia Tech, Washington University in St. Louis, and Harvard University. From 2012-15 he served as chair and professor in the architecture program of the SUNY College of Technology in Alfred, where he implemented a new BArch degree. He is a co-founder of the Int|AR Journal of Interventions and Adaptive Reuse. Hermann teaches studio in the graduate program including the RISD summer studio at the Danish Institute for Study Abroad in Copenhagen. Nick Heywood is a designer, educator and writer. He teaches at the University of Rhode Island as well as at RISD. His writings are based in the preservation of threatened properties and proposed public policy with interests in the relationship between sustainable practice and historic preservation. Nick earned his BIA and MIA from RISD. Nick teaches in the graduate Thesis sequence. Catherine Joseph is an architect at FXCollaborative Architects in New York City. She earned her Master of Architecture from Cornell University and holds a Bachelor of Science in Structural Engineering from Duke University. Her desire for an integrated design process, both in concept and in practice, prompted her to combine engineering and architecture, and her current interests focus on pushing beyond the status quo in all aspects of design. This includes thinking beyond the current practice of structural design to reconsider how structural failure is understood within the built environment. Further, Joseph is focused on rethinking how space is designed to accommodate all users, a concept currently manifested in a design study of gendered bathrooms. Jeffrey Katz is principal at C&J Katz Studio and engaged in retail, corporate, residential, exhibition, and furniture design. The Katz is a contributing editor at New England Home and has published five books, including Room Recipes, Dirty Wow Wow and Other Love Stories, and Dirty Bow Wow. Katz teaches introductory and advanced design studios and Thesis in the graduate program. Brian Kernaghan is Professor Emeritus in the Department of Interior Architecture at RISD where he was Department Head from 1996-2010. His previous academic position was Director of the BA (Hons) Interior Design course at Kingston University in London, and prior to that he was a practicing designer in Edinburgh, Scotland, where his professional work included interiors and exhibition design. He has taught many parts of the department’s curriculum, but most recently his teaching interests have concentrated on museum and exhibition design studios, around the idea of The Narrative Museum. He has taught several times for RISD during the DIS (Denmark’s International Studies) summer program in Copenhagen. He retired from the full-time faculty at RISD in 2010, subsequently was invited to teach a full semester at DIS, and was Chief Critic for RISD’s European Honors Program during Fall 2011. Kernaghan teaches advanced design studio in exhibition design and Theory of Adaptive Reuse. Haeyoung Kim is a designer, researcher, and technologist. She is currently a Research Associate at MIT Design Lab. Her design work investigates the intersections between space, technology and culture, and its scale ranges from small products to large-scale installations. Haeyoung received her Master in Design Studies from Harvard University with a concentration in Technology. Prior to Harvard University, she received a Bachelor of Fine Arts in Industrial Design from Rhode Island school of Design and worked as a Product Designer. Sunkyu Koh is an architectural designer and a 3D graphic designer. The recipient of several architectural delineation awards, Koh received his MIA from RISD and a MArch from Harvard University. He teaches Advanced Computer Tectonics in the graduate program. Jongwan Kwon is an architect who received his MArch from MIT and his BArch from Hanyang University in Korea. He was the MIT Teaching Fellow from 2016-2018 and Research Affiliate at MIT’s Urban Risk Lab. He interned at Morphosis, Kengo Kuma and SOM. Anastasia Laurenzi is an architectural designer and founder/director of Oblique Studio, a design/build practice based in Providence, RI, which was awarded the Providence Design Catalyst grant in 2016. Her studio work is flexible in scale, from object to architecture, interpreting how existing spaces can become relevant for their time. In addition to being a Critic at RISD, she also teaches the Core Architecture Studios I and II at Roger Williams University. Francesca Liuni received her MSc in Architecture and Construction Engineering from the Politecnico di Bari in Italy and her MS in Architectural Studies from MIT. She was an exhibition designer at the Harvard Museum of History of Science and the MIT Museum. She also worked as architect in the Italian Ministry of Cultural Heritage. Skender Luarasi is an architect and writer. His research investigates the relationship between architecture and geometry. His PhD dissertation focuses on how design processes end, and how the question of finitude intersects with style, geometry and parametricism in history. Luarasi has presented his research in numerous ACSA conferences, and has published in Haecceity, A+P Forum, and other Journals. Skender Luarasi holds a Doctor in Philosophy from the Yale School of Architecture, a Master of Architecture from Massachusetts Institute of Technology, and a Bachelor Degree in Architecture from Wentworth Institute of Technology. He has taught at the Yale School of Architecture, the Department of Interior Architecture at Rhode Island School of Design, Wentworth Institute of Technology, Boston Architectural College, the Architecture + Design Program at University of Massachusetts Amherst, the School of Architecture at Washington State University, and Massachusetts Institute of Technology. He has worked as a designer for dEcoi architects/MIT Digital Design Group, Kennedy & Violich Architects Ltd and Finegold + Alexander Associates Inc.
Michael McGarty has designed plays and operas on Broadway, off Broadway and for regional theater. In addition to teaching at RISD, he is a resident set designer at Trinity Repertory Co. in Providence.. He has contributed to such Broadway productions as Master Class by Terrance McNally, the revival of Wait Until Dark and Julia Sweeney’s God Said Ha. He has worked at the NY Shakespeare Festival, Old Globe Theatre, Dallas Theater Center, Seattle Rep, the Geffen Playhouse, Mark Taper Forum, Philadelphia Theatre Co., Pasadena Playhouse, Williamstown Theatre Festival, the Bay Street Theatre and the Kennedy Center for the Performing Arts. In his 22-year association with Trinity Rep, McGarty has designed many shows, most recently A Delicate Balance, Our Town, The Henriad and The Buz’Gem Blues. Other recent designs include the premiere of The Secret Letters of Jackie & Marilyn at Pittsburgh Public Theatre; The Stendahl Syndrome by Terrence McNally; the opera The End of the Affair by Jake Heggie and Heather McDonald; the opera Dead Man Walking at NY City Opera, Cincinnati Opera, Opera Pacific, and subsequent national tour; Paper Doll at Pittsburgh Public Theatre; and The Invention of Love at the Wilma Theatre. In 2000 he received the Philadelphia Barrymore Award for his set design. Maryrose McGowan is the editor-in-Chief of the award winning Interior Graphic Standards (John Wiley & Sons), which received the Professional and Scholarly Publishing Excellence Award in Architecture and Urban Studies by the Association of American Publishers. She has authored several other professional reference and college textbooks, as well as numerous articles for periodicals. Ms. McGowan previously was on the staff of the American Institute of Architects, Professional Systems Division, researching and Developing content for their master guide specification system, MasterSpec. She consulted on several divisions of the National Institute of Sciences Building Sciences BUM standard outline specification for use as the basis of the BIM standard model for public domain. Ms. McGowan is a licensed architect. She currently assists the MIT Museum with architecture, design and photography collections and exhibitions. She has been a critic as the Rhode Island School of Design since 1997. Josephine L. McKee was raised in Vermont and currently lives in Brooklyn. She holds a BFA in Painting from RISD and an MFA in Painting from the University of Pennsylvania. As a painter she explores colors that form an abstract narrative, and as a writer she focuses on abstractions within clear narratives, visual writing and the relationship of history to the present. In 2013, McKee was invited to lecture on color in the Current Issues Lecture Series at the School of Visual Arts Interior Design department in New York City. She has taught at The University of Pennsylvania, and at New York City museums. Awards include a prose manuscript that was shortlisted for the Bellwether Prize and a poetry manuscript that was a finalist for the Kinereth Gensler Award by Alice James Books. She has held residencies at the Writer’s Room in New York City and the Vermont Studio Center and was a semifinalist for The Nation Discovery Prize. McKee’s poems have been published in periodicals including The Brooklyn Rail. Bob Mohr is an architect and urban designer. His broad interests stem from a belief in the potential of architecture and urban design to reveal, engage and speak to profound questions of social, political and environmental urgency. An American citizen born in Libya and raised in both Pakistan and Iowa, Mohr has worked across the US, Europe and North Africa. Bob is the founder of Open Studio. Prior to relocating to Rhode Island, Mohr was studio director of Oualalou+Choi, a medium-sized practice based in Paris and Casablanca. He spent six years in Paris directing projects at varied scales from the domestic to the urban, all of which explored how an expanded role for the architect can lead to more successful and meaningful projects. Previously, he led projects at Mithun in Seattle and Leddy Maytum Stacy in San Francisco. Mohr holds a BArch from Iowa State University and both a Master of Science in Architecture Studies and a Master of City Planning from the Massachusetts Institute of Technology. He has taught at MIT, Roger Williams University and Rice University’s Paris studio. Carter has a Masters degree in Architecture I from the Graduate School of Design at Harvard University, and a Bachelor of Fine Art in Industrial Design from the Rhode Island School of Design. His professional work history includes working in several different architectural offices, as an industrial designer, as a hands-on residential design-builder, and as a digital fabrication technician. Prior to the Rhode Island School of Design he has held teaching positions at the University of Maine at Augusta and Roger Williams University. He currently runs a small design-build practice based in Rockport, Maine that focuses on the intersection of design, value, and sustainability. Janet Stegman is principal of Stegman + Associates, a firm specializing in the programming, planning and design of college and university facilities. A presenter at numerous national conferences including the Society of College and University Planners (SCUP), Association of College and University Housing Officers (ACUHO) and National Association for Campus Auxiliary Services (NACAS), she received her BFA and BArch from RISD. Stegman teaches the housing design studio in the undergraduate program. Kurt Teichert is Critic in Interior Architecture at RISD and Senior Lecturer in Environmental Studies at the Institute for Environment and Society at Brown University. He teaches and advises students on sustainable design, environmental stewardship, urban infrastructure, and transportation technology and policy. Involved in research, design, and construction of high performance educational facilities for over 25 years, Teichert holds a M.Sc. in Agricultural and Resource Economics from Oregon State University and a B.A. from Franklin and Marshall College. Teichert teaches Applied Building Systems in the graduate program. Caterina Tiazzoldi, (PhD, M. Arch) is an architect, artist and educator. She holds a Bachelors in Architecture and Doctoral degrees from the Politecnico di Torino and had earned a Master in Architecture at Columbia University. In 2004 she founded Caterina Tiazzoldi Studio, an award-winning interdisciplinary practice focusing on heritage and innovation, urban regeneration, architecture, interior architecture, retail and exhibit design. In 2005 Tiazzoldi founded the Research Lab Non-Linear Solutions Unit at Columbia University, which she directed from 2005-2015. Tiazzoldi has taught at Columbia University, Politecnico di Torino, Rhode Island School of Design, NABA, Domus Academy and European Institute of Design. Tiazzoldi has won several art and architecture competitions including in Italy, USA, Portugal, China, and France. In 2010 she was a finalist at the Renzo Piano Award for Young Italian Architects and was nominated for the Cooper Hewitt National Design Award. Her works are featured at the Institut de l'Architecture in Paris, the Civic Gallery of Modern Art. Stephen Turner, P.E., LEED, is President of Stephen Turner, Inc. A leader in the commissioning sector, he teaches commissioning and publishes widely in peer- reviewed journals. Turner uses his extensive experience with high performance design, testing and balancing, energy efficient equipment design, control strategy optimization, and life cycle costing to assist project owners in meeting their project specific design goals. Turner advised on issues of the environment in Thesis. Julian von der Schulenburg is American-German architect and founder of independent, award winning design practice based in New York and Munich. Established in 2007, the firm’s work includes residential, commercial and civic building designs and interiors while pursuing a special interest in the architectural meaning of space and light. Prior his own practice, Julian worked for renown architects Caruso st John in London, Peter Zumthor in Switzerland and Rem Koolhaas in New York. He received the Master of Architecture at the Accademia di Architettura in Mendrisio, Switzerland, mentored by Prof. Valerio Olgiati and Peter Zumthor. Julian is international associate member of the American Institute of Architects and licensed member of the Swiss and German chamber of architects. Julian has been teaching architecture design studios internationally including the Accademia di Architettura in Switzerland, the Instituto Universitario di Architettura di Venezia in Italy, Parsons the New School for Design, New Jersey Institute of Technology, Syracuse University and guest critiqued at University of Pennsylvania, City College, Cooper Union, Yale University, Moma PS1 and Columbia University. Emily Wetherbee is an architect and teacher based in Warren, Rhode Island. She earned a BA in Ecological Design from The Evergreen State College where she curated her own curriculum including studies at Arcosanti, Earthship Biotecture, and Permaculture Farms in Hawaii- all of which helped frame her career in architecture. She graduated with a MArch from Parsons School of Design where she participated in the Design Workshop Program. Prior to starting her own practice, she managed several large-scale public resiliency projects in New York City and taught a first-year foundations course on Sustainable Design and Climate Change at The New School. Wetherbee’s design work focuses on exposing fundamental infrastructural systems such as water, waste, food and energy- in hopes of promoting environmental stewardship and activism in the face of an ever-changing climate. Most recently she has been researching the intersection of architecture, land use policy, animal sanctuaries, and zoology. Puerto Rican born, Luisel Zayas San Miguel received a Masters of Architecture from MIT. He developed Robotic Formwork systems as part of his thesis research receiving The Bill Mitchell Fund ++ Award and the Arthur Rotch Prize. Luisel was appointed the QuarraMatter Fellowship in 2015, where he investigated robotic manufacturing processes on stone. During the 2016 Venice Biennale, Luisel was part of the construction of a full-scale prototype of the Droneport, a collaboration between the Block Research Group at ETH, Ochsendorf DeJong & Block LLC, and the Norman Foster Foundation. Luisel currently works at NADAAA, a practice dedicated to design innovation and the cultivation of new methods of fabrication, where he serves as an architectural designer and fabrication director at NADLab.